Moving objects gathering pattern represents a group events or incidents that involve congregation of moving objects, enabling the analysis of traffic system. However, how to improve the effectiveness and efficiency of the gathering pattern discovering method still remains as a challenging issue since the large number of moving objects will generate high volume of trajectory data. In order to address this issue, the authors propose a method to discovering the gathering pattern by analyzing the taxicab demand. This paper first introduces the concept of Taxicab Service Rate (TSR). In this method, they use the KS measures to test the distribution of TSR and calculate the mean value of the TSR of a certain time period. Then, the authors use a neural network based method Neural Network Gathering Discovering (NNGD) to detect the gathering pattern. The neural network is based on the knowledge of historical gathering pattern data. The authors have implemented their method with experiments based on real trajectory data. The results show the both effectiveness and efficiency of their method. The increasing availability of location acquisition has been applied to GPS on vehicles. The technology has enabled tracking almost any moving behaviors of moving objects, which results in huge volumes of spatio-temporal data in the form of trajectories. Movement pattern can be observed from this kind of data. The movement pattern will provide useful information for traffic jam prediction and traffic flow control. The movement pattern has been well studied for the past few years (L. Huang, Wang, Hsu, Zhang, & Yang, 2015; Jeung, Yiu, Zhou, Jensen, & Shen, 2010; Kalnis, Mamoulis, & Bakiras, 2005; Li, Ding, Han, & Kays, 2010; S. Wang, Hsu, Liang, Sun, & Yang, 2014; Zheng, Zheng, Yuan, & Shang, 2013) (Jeung, Yiu, Zhou, Jensen, & Shen, 2010). In order to support the traffic analysis application in cities, Zheng (Zheng et al., 2013) has proposed a useful movement pattern which name is gathering. It represents a behavior of a set of spatio-temporal moving objects, which move together within a certain period of time. The author has also proposed a gathering pattern discovery method by counting the gathering number. Specifically, it uses the spatial Gird to index the crowd of moving objects, and then uses the Crowd-TAD method to test each crowd to discover the gathering pattern. 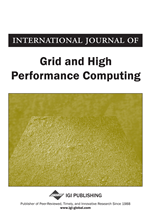 To improve the effectiveness and efficiency of the gathering pattern retrieving process, we have also proposed a gathering retrieving method based on spatio-temporal graph that forms by moving object clusters (Zhang JM, 2016). The main part of the method is to find the maximal complete graph that meets the spatio-temporal constraints by indexing the graph. But it still took a lot of time to cluster the moving objects and to search graph. Recently, some researchers use the taxicab demand to analyze the traffic condition or find a fast driving route (Liu, Zheng, Chawla, Yuan, & Xing, 2011; Ma, Zheng, & Wolfson, 2013; Rui, Hacker, & Rong, 2014; Yuan, Zheng, Xie, & Sun, 2011). Researcher (Yuan, Zheng, Zhang, Xie, & Sun, 2011) presented a recommender system by using the taxicab drivers’ pick-up behaviors. Our previous research has also proposed method to analyze the taxicab demand (Zhou, Zhang, Li, & Wang, 2014). From this point, we could use the taxicab demand to discover the gathering pattern. Even though it need to calculate the taxicab demand from the trajectory data, it will save a huge time comparing with the moving object clustering and graph searching process.